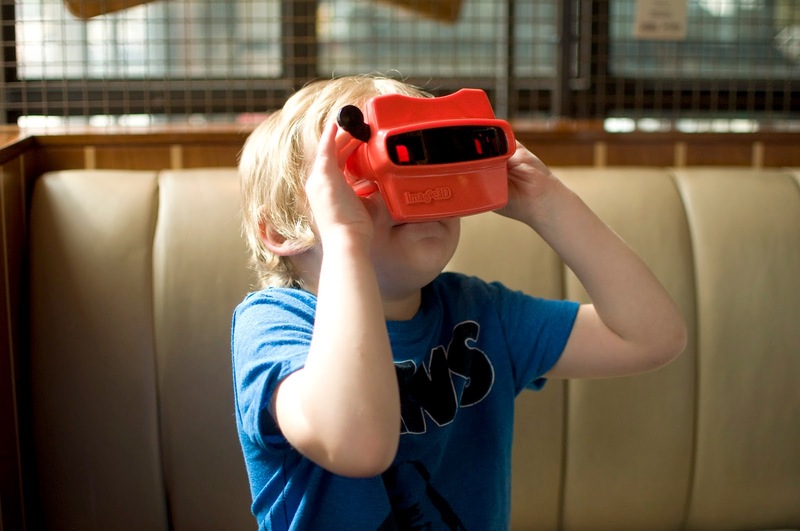 We love eating out, its something we would love to do more often but we normally find ourselves getting stuck in a routine with the same places which can frankly be a bit boring! So when we were asked to pop over to Jamie's Italian for a meal we couldn't say no. 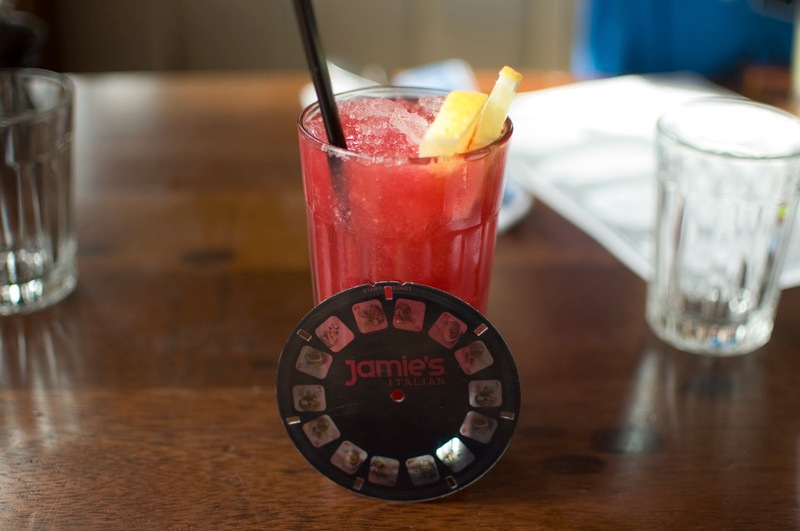 Nestled towards the front of Gunwharf Quays in Portsmouth, Jamie's Italian is a restaurant you can't miss. With it's painted fencing and quirky ice cream van you know you are in a place that puts effort in the finer details. Inside is much the same with a feeling of an independant restaurant that places an emphasis on a great dining experience, not only a great meal. With drinks in hand (I went for a berry blast mocktail - a must have for any fruit lover.) we browsed the food menu and with so much choice we didn't know what to have. Eventually Scott chose to have the duck leg, I went for a small bolognese pasta with a side of funky chips and Max eagerly asked for the puppy dogs (mini hot dogs!). 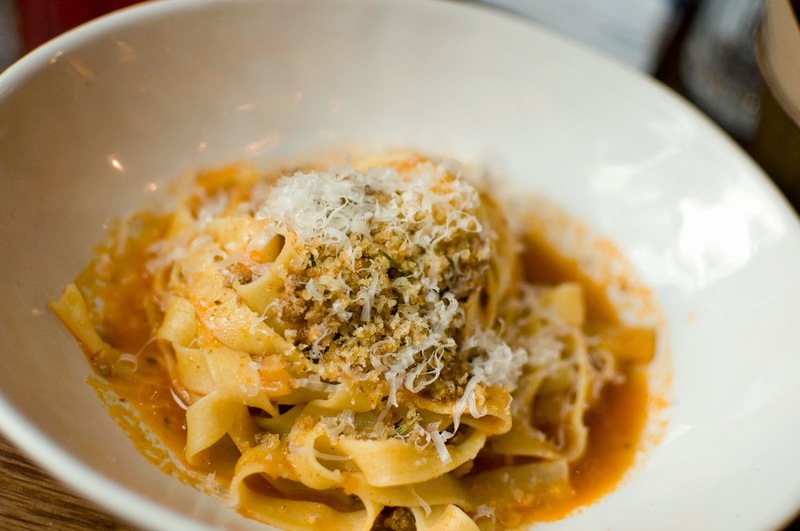 It's worth noting that with the pasta dishes you can get a small or a large portion. 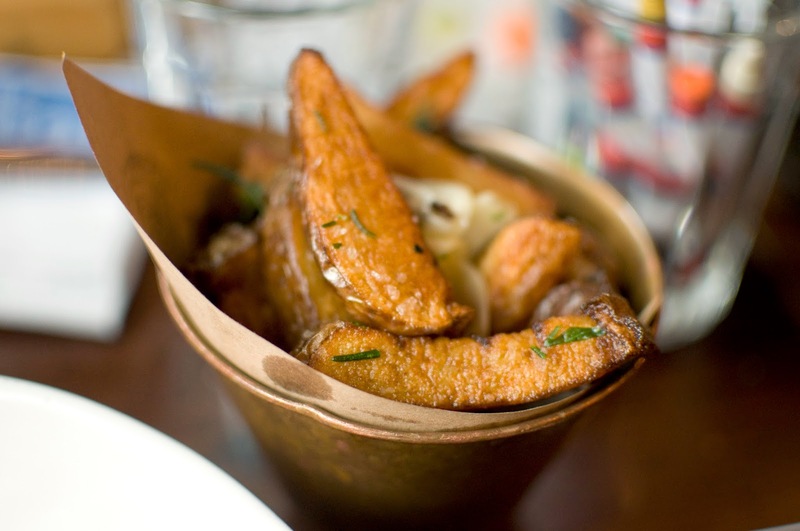 The small is perfect for a light lunch with a side whereas the larger portion would be great at an evening meal. We went for a starter of breads with oil and balsamic vinegar as we are slightly obsessed with it at the moment. There was a great selection of breads that came out fresh and warm with something there that we all seemed to love. One thing we loved was the attention to detail. 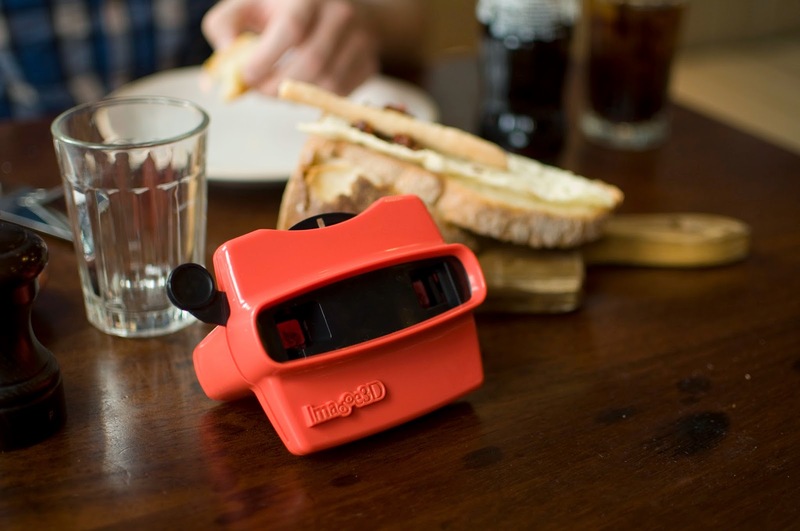 Max was given a retro 3d viewer with a disk of what was on his menu. We all absolutely adored looking at all the things on offer and I think it worked really well as he especially finds it easier to pick something he can see rather than off a written list. 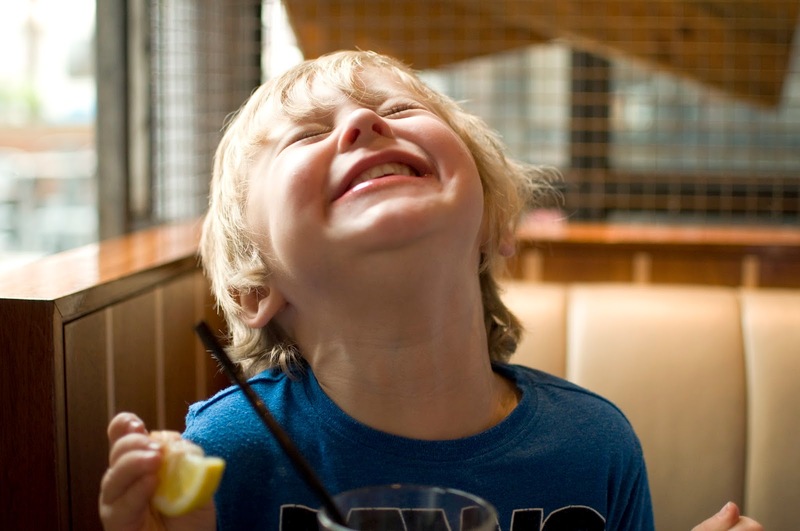 It kept him amused for the majority of the meal and was such a delight. 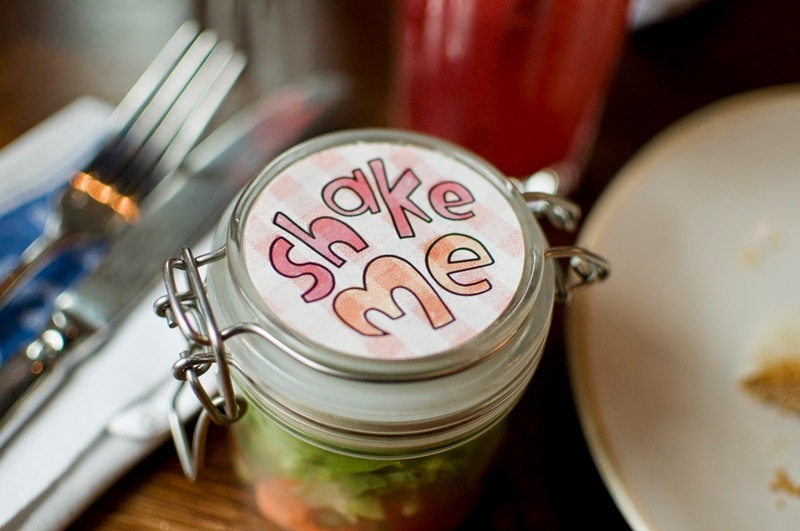 Another thing was that the kid's meals all came with salad shakers in small jars that had fresh veg layered inside for them to mix to their hearts content. Max loved that he was getting involved in "making" his dinner and it was well and truly shaken (and not stirred) by the end of the meal. When our food came out we were all so impressed that I had to stop myself diving in before I had taken some mouth watering photos. The kids meal was a perfect size, laid out on a serving block it felt so much more fun than being on a boring plate. Max devoured it and left only a few wedges (which daddy finished off!). 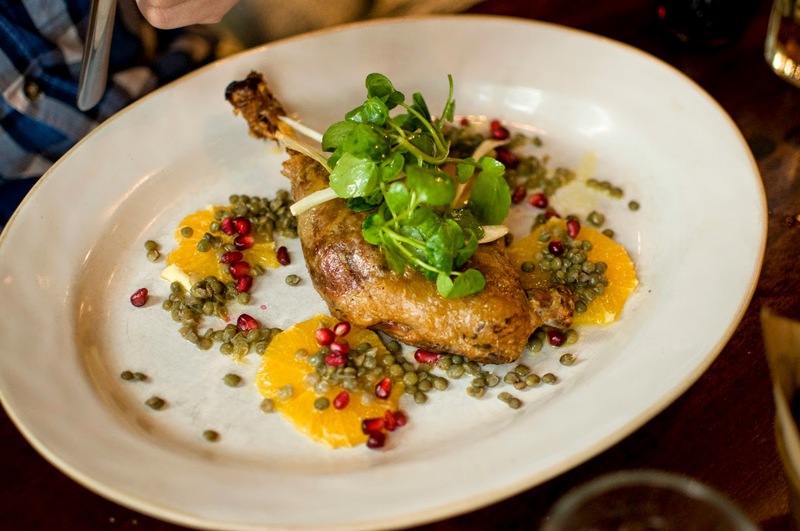 Scott said that his duck was gorgeous, the orange was a perfect juice to make it a refreshing lunch and I don't think there was a morsel left after. I loved the pasta, so light and a perfect portion for a lunch. We all dived into the chips, triple cooked and had such a moreish taste that you could understand where the name funky chips came from! With bellies to burst the boys only wanted some ice cream for dessert. Max was chuffed with his salted caramel scoop (takes after his mama!) whilst Scott settled for vanilla with a couple of toppings (they came free with the ice cream). 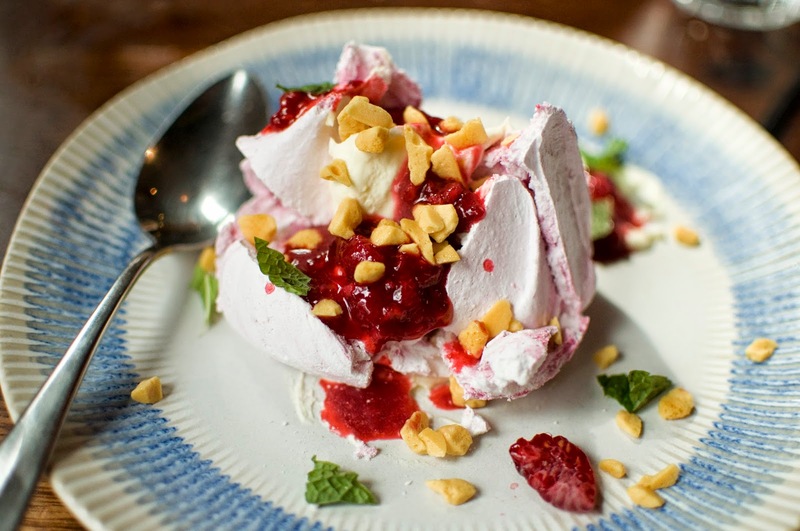 I on the other hand had planned this meal well enough that I had room to squeeze in the divine raspberry meringue pavlova. This was an explosion in my mouth in all the best ways possible. If I could have someone make this for me every night that would be great! All of our drinks, food and desserts came in at £49.95 which for what we had was amazing value, especially when you consider its made fresh on site with great ingredients. You could see the wide array of fruit and veg behind the chefs as they cooked! I have to say that we well and truly indulged ourselves and had a fabulous experience in the restaurant too. I have to say that we will 100% be back, it's a great place and there is so much more on the menu that we are yet to try. I have to give a special mention to Jules, our waiter. He was more than amazing and went above and beyond anything we had ever received whilst eating out. He knew the menu inside out, was great engaging with Max and keeping us all entertained. I watched as he did the same with every other customer too, making them feel like this was a mighty special occasion. 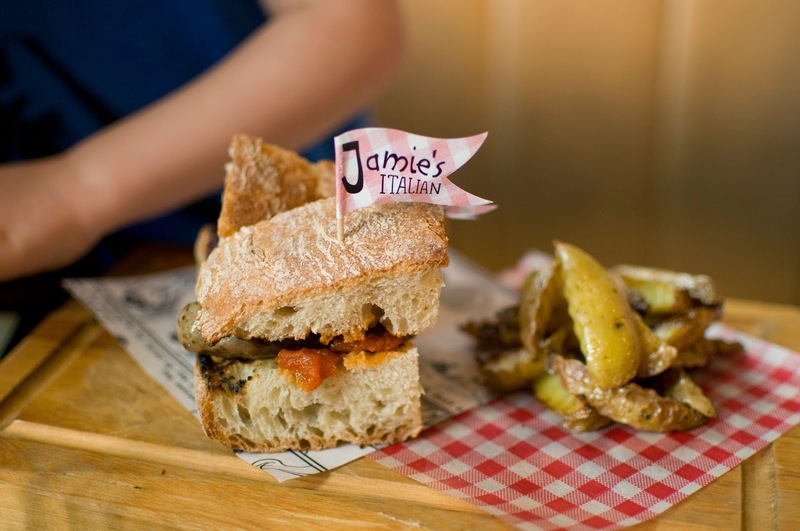 He is a true credit to the Jamie's Italian brand!